Toronto Wrongful Dismissal Lawyer Andrew Monkhouse stands up for those who have been terminated wrongfully. 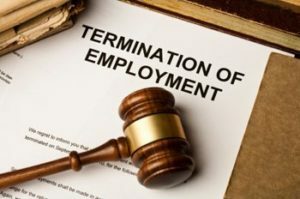 An Employee who has been wrongfully dismissed has not been provided with enough notice (pay, or severance) when they are terminated. These terminations can be ‘for cause’, where the employer pays nothing, or ‘without cause’ where the employer makes an offer. In either case the employer can be tested as to if their actions are correct. Employees represented by a lawyer are entitled to all documents which are arguably relevant to their case. As one of Toronto’s top employment boutique firms, our wrongful dismissal lawyers are here to provide you with quality service that will prioritize your employment needs. The team at Monkhouse Law is equipped with specialized tools and knowledge that will support your wrongful dismissal matter in Court. Our team of experienced and dedicated wrongful dismissal lawyers will advocate on your behalf to minimize any power imbalances between the employer and employee. Given our expertise with employment law, our legal professionals can provide you a rich assessment of your matter to further assist you in making the best decision for your specific case. Our team will also explain all available options and potential outcomes to provide you with an enhanced opportunity to make the right decision. 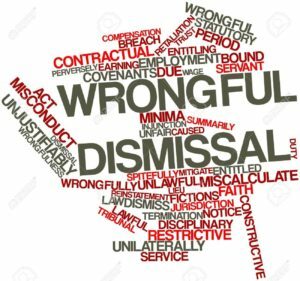 If you believe you have been wrongfully dismissed, contact Monkhouse Law to see how a wrongful dismissal lawyer can assist. Call 416-907-9249 today to get your FREE 30 minute phone consultation.